Gunnar von Heijne has contributed important insight into problems related to protein sorting and membrane protein biogenesis and structure. His work includes both bioinformatics methods development (e.g. methods for prediction of signal peptides and other sorting signals as well as prediction of membrane protein topology) and experimental studies in E. coli and eukaryotic systems. These advances form much of the basis for our current understanding of membrane proteins, and find applications in the identification of drug targets and in structure-function studies of medically important membrane proteins. 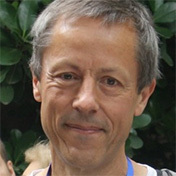 His most important achievements include the discovery and experimental validation of the so-called “(-1,-3)-rule” (describes signal peptide cleavage sites) and the “positive inside” rule (describes membrane protein topology), the development of widely used prediction methods (e.g., TopPred, SignalP, TargetP, TMHMM), the first proteome-wide theoretical and experimental studies of membrane protein topology in E. coli and S. cerevisiae, the first quantitative analysis of the energetics of membrane protein assembly in vivo, and theoretical and experimental studies of so-called dual-topology membrane proteins and their role in the evolution of membrane protein structure. Educated at the Royal Institute of Technology in Stockholm, where he was awarded his PhD in theoretical physics in 1980, Gunnar von Heijne has taught at the Swedish Research Council, the Karolinska Institutet and Stockholm University. He has published over 300 original articles and reviews. His research has been recognized with numerous awards and honors. He is an elected member of EMBO, the Royal Swedish Academy of Sciences, the Academia Europaea, and the Royal Swedish Academy of Engineering Sciences.